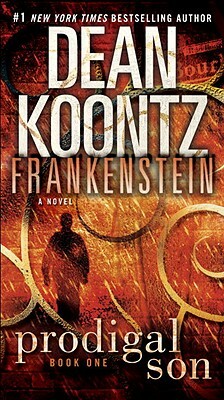 From the celebrated imagination of Dean Koontz comes a powerful reworking of one of the classic stories of all time. If you think you know the legend, you know only half the truth. Here is the mystery, the myth, the terror, and the magic of . . .
Every city has its secrets. But none as terrible as this. He is Deucalion, a tattooed man of mysterious origin, a sleight-of-reality artist who has traveled the centuries with a secret worse than death. He arrives in New Orleans as a serial killer stalks the streets, a killer who carefully selects his victims for the humanity that is missing in himself. Deucalion’s path will lead him to cool, tough police detective Carson O’Connor and her devoted partner, Michael Maddison, who are tracking the slayer but will soon discover signs of something far more terrifying: an entire race of killers who are much more–and less–than human and, deadliest of all, their deranged, near-immortal maker: Victor Helios–once known as Frankenstein.